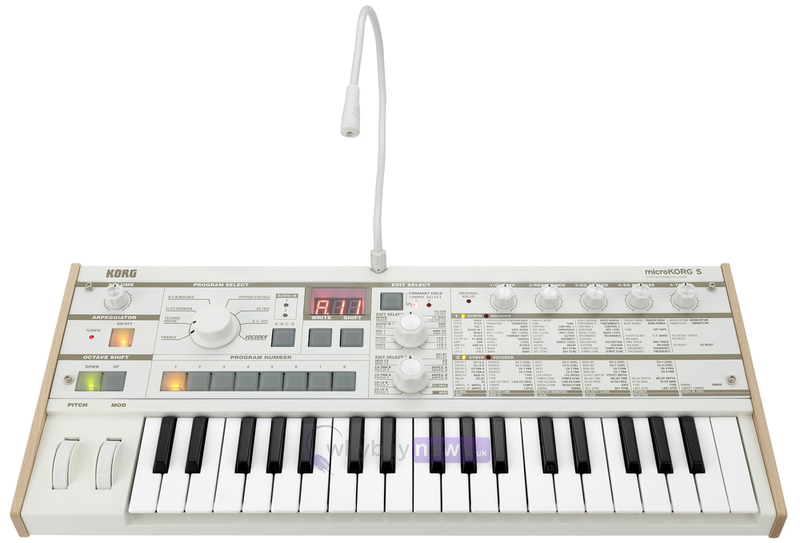 The MicroKORG S is the updated version of the microKORG analog modeling synthesiser that was released back in 2002. 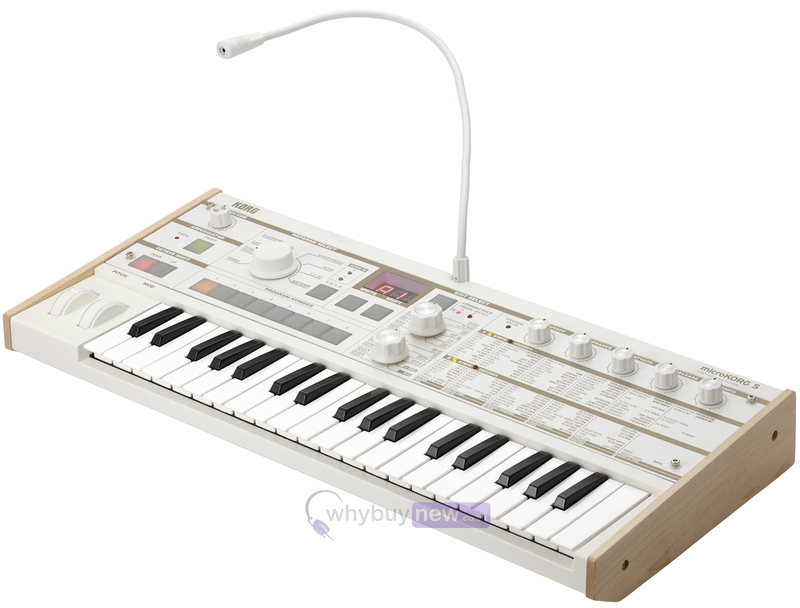 The microKORG S features a built-in 2+1 speaker system and elegant white design which retains the spirit of the original. The memory capacity has been increased from the original microKORG. Mainly centered on simple and present sounds that shine on stage, Korg have added 64 powerful preset programs that meet the needs of the changing music scene, including clearly defined and punchy leads, electric pianos that sound great in an ensemble, and powerful and solid basses. 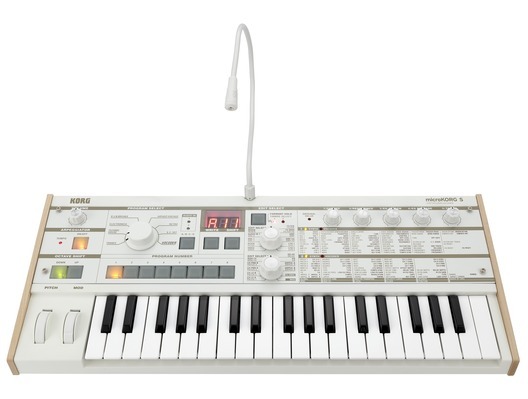 In addition, Korg have also provided 64 additional slots for user programs, so you can save your own original sounds without overwriting the presets. This encourages a sound design process that's ideal for this instrument: select a sound that you like, and edit it. 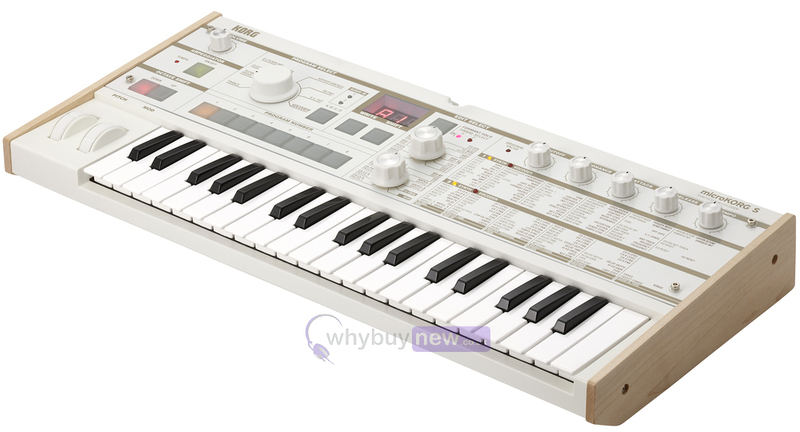 Here we have the Korg MicroKORG S Synthesizer and Vocoder in brand new condition and in B-Stock. The B-Stock versions would have been on display at a training evening or trade exhibition only and will come boxed 'as new' with all accessories and a 1-year warranty. Dimensions: (W x D x H) 524 x 232 x 70 mm / 20.63" x 9.13" x 2.76"